In this eBook, we have sought to provide the reader with an introduction to the components of a modern AML program and take a deeper dive into some of the newest challenges and advances. 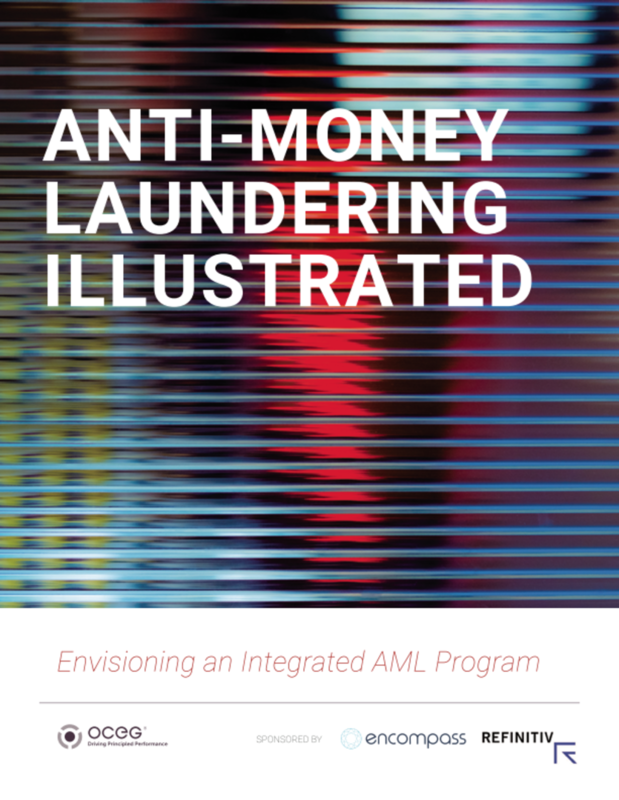 Please provide your email address so we can send you "Anti-Money Laundering Illustrated: An OCEG eBook". A link to "Anti-Money Laundering Illustrated: An OCEG eBook" was sent to Make sure the email arrives in your inbox: either add "support@oceg.org" as a safe sender to your email platform, or if you use Gmail, drag our email into your Primary tab.